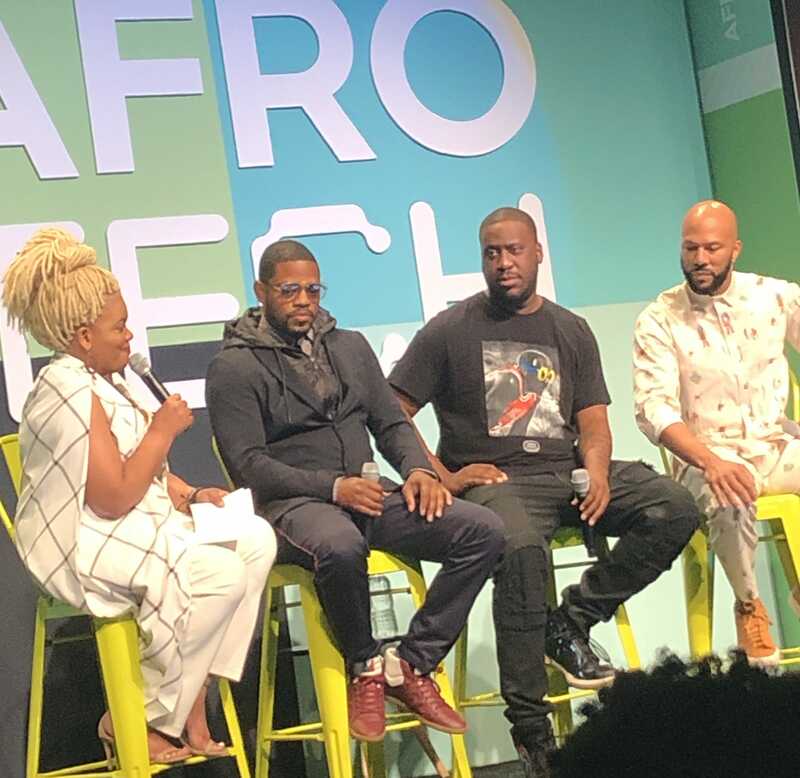 AfroTech is a two day conference consisting of speakers, panels, and workshops centered around design, startups, and entrepreneurship within the tech space. Another huge aspect to the conference are the activations where many companies from Google to IBM come to look for talent, provide information on their companies, and learn more about the attendees. So whether you’re a student, business owner, or seasoned in your career, AfroTech has something for you! I’ve attended AfroTech for the past two years and to say the experience has been amazing would be putting in mildly. The two biggest things that I took back home both years were a wealth of knowledge in areas that I wasn’t previously familiar with and large network of Black people in tech. For me these things have been priceless and have motivated me in so many different areas. Like so many industries, often times Black people don’t get to see themselves reflected in their companies, roles, or even teams. Attending conferences like AfroTech give us a chance to meet people who share our same experiences and also happen to have similar career interests. The conversations and stories that are shared during mixers, panels and side conversations have been the most impactful for me. One of the most impressing things for me has been meeting all of the Black founders in the tech space. This is always exciting because they are often creating solutions and building products that directly benefit our communities. However, if it weren’t for conferences like AfroTech I would have never known these things were being created and how I can support them. Been working on an idea and want some feedback or testers? Want to pitch your idea and win cash to help fund it? Then this conference is where you need to be. No idea is too big or too small for AfroTech so come with it and a plan of getting what you want. Make a list prior to the conference that consist of questions for yourself such as: 1. What do I want to get out of the conference? 2. Am I looking to establish a team? 3. Am I looking for people in similar roles to pick their brains? Whatever it might be, come ready! The conference days go by so quickly so I’d recommend getting in a day or so prior to the conference as many people will be in town ready to connect as well. Don’t be the person stalking social media during the conference wishing you had just made the move. What other conference is going to give you speakers like Daymond John, hands on workshops, dj’s in the common areas, and a crazy after party? AfroTech knows how to engage its people and keep you motivated throughout the long days. Many of us have been to conferences where we’re constantly staring at our phone to see how much time has passed and its miserable! During AfroTech I feel like I don’t want the days to end because I’m learning so much from the speakers, meeting so many brilliant people, and racking up on great swag from various companies. 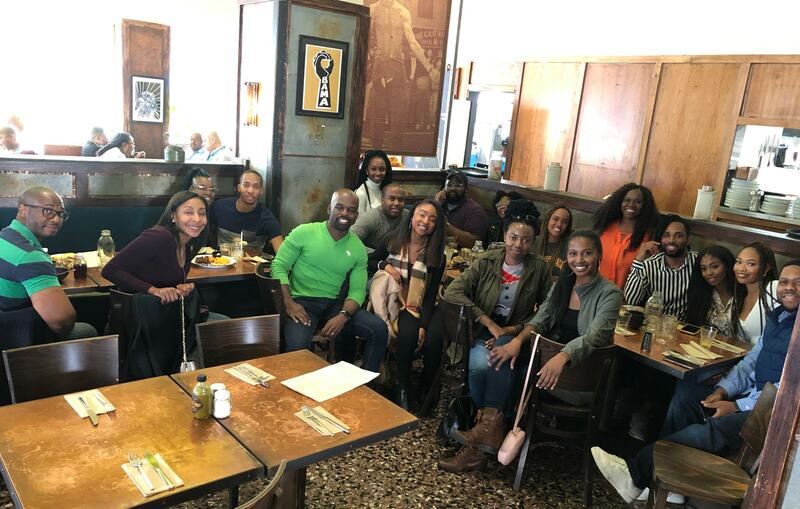 During AfroTech weekend there are numerous networking opportunities such as brunches and happy hours hosted by companies in Silicon Valley. These companies are usually looking to bring on new talent so come with resumes, business cards, and an updated portfolio because you never know. There are also companies on site at the conference looking to meet and hire new talent so come ready there as well. However, networking doesn’t just mean looking for a new role. There are thousands of conference attendees excited to share what they’re working on and learn more about you too. If AfroTech is something you’re considering but are not quite sure whether you should make the move or not, just know that if you get nothing from any other part of the conference (which I know that you will), you’ll definitely come back with a network stronger than when you arrived. So when you have that next big idea you’ll have a pool of people to help or possibly join you. I hosted a brunch the day before the conference for anyone who wanted to meet up before the conference. It was a great time filled with open conversations, laughs, and great food. We ate at the Black owned restaurant "farmerbrown" in San Fransisco. Prior to attending AfroTech last year I had an idea that I wasn’t quite sure how to execute and eventually put it out of my mind. During the conference I had several conversations with fellow attendees about my idea that had been put aside and several months later my platform AshleyJanelle.com was created. That year I also attended UX and design thinking workshops and was able to take several usability practices and techniques back to my company. We were then in the early stages of building out our usability process and as of today, many of those practices have been implemented. 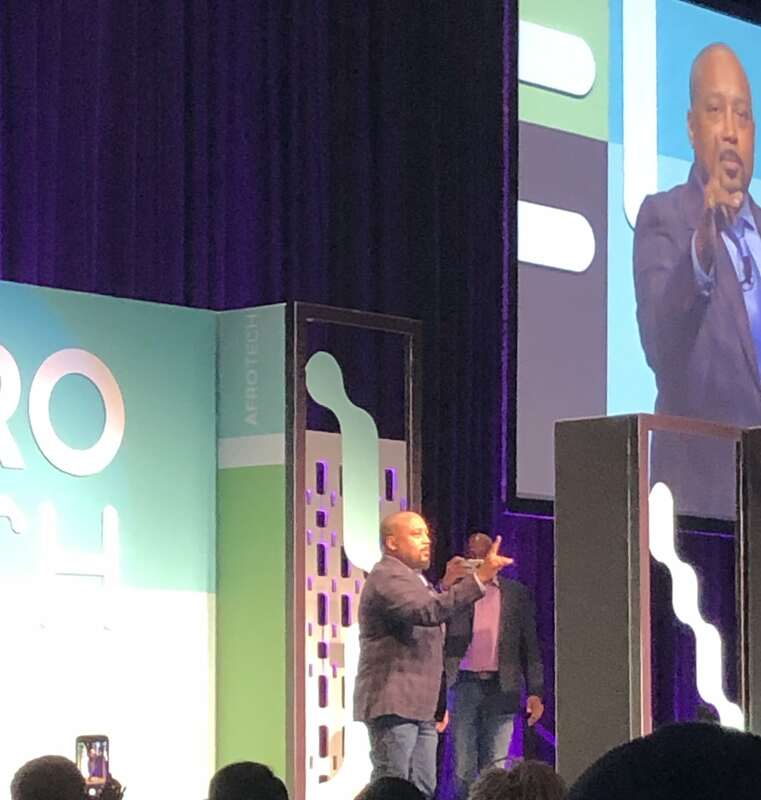 This year, I went home with new ideas that all stemmed from speakers and conversations I had at AfroTech. Often times it’s not enough to just have an idea and work on it alone. Sometimes you have to have these conversations with likeminded individuals and bounce ideas off of one another to propel you further. This conference is a place where I’ve been able to speak about my thoughts and ideas and feel like someone is listening and helping me think through them instead of listening to reply about their own ideas. It is really an experience like no other. Have you been to an AfroTech yet? Let me know what your experiences were in the comments below. Even if you haven’t, what are you waiting for?